The Hawkeyes could be without the star on defense for the rest of 2015. 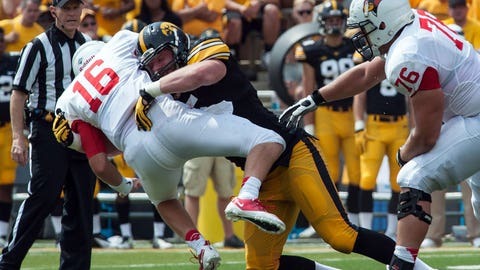 The Iowa Hawkeyes are preparing for the worst with star defensive end Drew Ott. It's a huge blow to the undefeated Hawkeyes to lose Ott. He was having a good 2015 season as he leads Iowa with 7.5 tackles for loss and three forced fumbles. Redshirt freshman Parker Hesse is the next man up for Ferentz' group at that position.